Order your CursiveLogic - Cursive Handwriting Book today from FahrneysPens.com. Fine Pens, Refills & Luxurious Gifts – great prices & fast shipping. 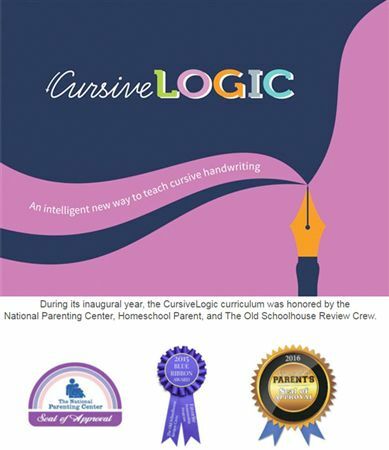 CursiveLogic is an innovative patent-pending method for teaching cursive handwriting. It's the perfect solution for parents and educators who are concerned about the lack of cursive writing instruction in our schools. 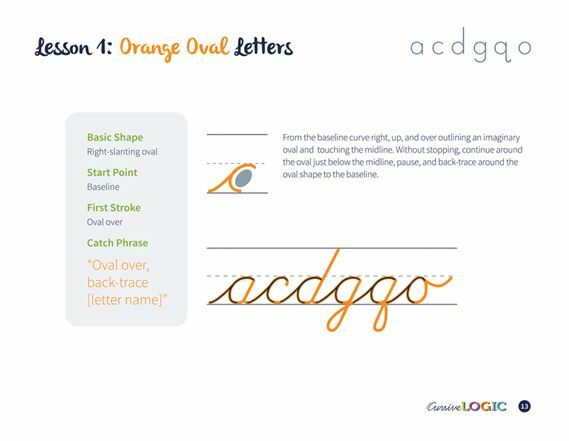 Rather than teaching the alphabet letter by letter, Cursive-Logic's method focuses on four basic letter shapes that allows students to master cursive handwriting in as little as four easy lessons. CursiveLogic captures the flow of cursive by teaching all of the similarly shaped letters in a connected string rather than as individual letters. CursiveLogic's letter strings teach students to connect letters from the first lesson, allowing students to internalize the flow of cursive handwriting even before they have learned all 26 letters. CursiveLogic also uses visual and auditory cues to reinforce the shape patterns. This combined teacher's manual and student workbook contains step-by-step instructions for teaching cursive the CursiveLogic way along with student lessons, practice sheets, and three dry-erase surfaces. The lessons can be adapted to suit the needs of students from 7 years old through adult. Fahrney's offers everything you need to teach kids cursive writing and is a proud Founding Supporter of CursiveLogic! 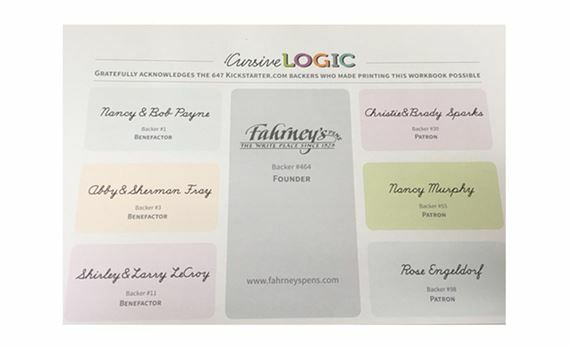 Now Fahrney’s and Cross, America’s oldest manufacturer of fine writing instruments, are teaming up with CursiveLogic to bring cursive handwriting instruction to classrooms across America. CursiveLogic’s new crowdfunding campaign – Cursive to the Classroom – unites companies and individuals who want to save cursive with educators who want to teach cursive. Companies and individuals sign up to sponsor workbooks and educators sign up to receive them. You can view the campaign at www.cursive2class.com.